Windows logs this event when a user disconnects from a terminal server (aka remote desktop) session as opposed to an full logoff which triggers event 4647 or 4634. 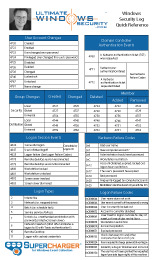 This event is also logged when a user returns to an existing logon session via Fast User Switching. You can distinguish between instances of this event associated with Fast User Switching and Remote Desktop by Client Name: and Client Address: which in the case of Remote Desktop will normally be different than the local computer. The session name also indicates Remote Desktop with "RDP" as shown in the example. With console logons and Fast User Switching the session name will be "Console" and Client Name: and Client Address: will be "unknown".